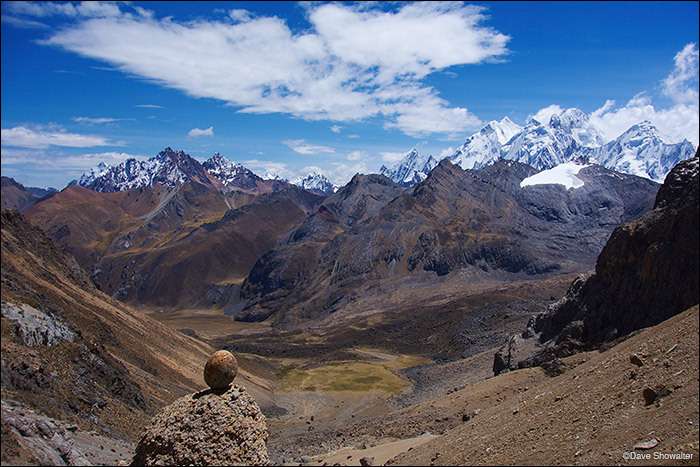 From Punta Cuyoc, thie highest pass on the Huayhuash Trek (5000m) you cross over to the southern side of the range where once again Yerupaja (6634m) dominates the skyline. The trek descends into the Huanacpatay Valley, a lengthy drop from over 16,000 feet of elevation. Photo © copyright by Dave Showalter.